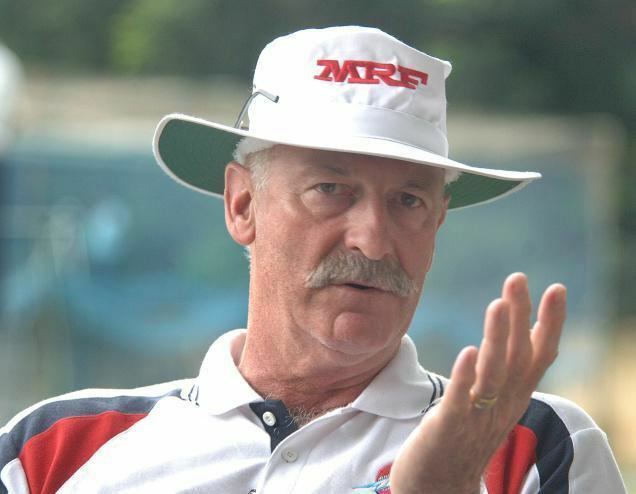 Dennis Keith Lillee, AM, MBE (born 18 July 1949 in Subiaco, Western Australia) is a former Australian cricketer rated as the "outstanding fast bowler of his generation". Lillee was known for his fiery temperament, never-say-die attitude and popularity with the fans. In the early part of his career Lillee was an extremely quick bowler, but a number of stress fractures in his back almost ended his career. Taking on a strict fitness regime, he fought his way back to full fitness, eventually returning to international cricket. By the time of his retirement from international cricket in 1984 he had become the then world record holder for most Test wickets (355), and had firmly established himself as one of the most recognisable and renowned Australian sportsmen of all time. Aged 20, Lillee made his first-class debut for Western Australia in 1969-70 and impressed with his raw pace. At the end of the season, he toured New Zealand with an Australian second team and took 18 wickets at 16.44 average. Bowling as a first-change, Lillee had an uneventful tour of New Zealand in March and April 1982 before suffering a serious knee injury in the first Ashes Test at the WACA Ground in November of the same year. This forced him to miss the rest of the series and Australias 2–1 victory, which reclaimed the Ashes. Returning to the team for the latter stages of the World Series Cup, Lillee was no longer an automatic choice to take the new ball. Nevertheless, his 11 wickets in six ODIs helped Australia win the tournament with a victory over New Zealand in the final. Lillee made a brief comeback to first-class cricket in 1987–88 for Tasmania, taking a wicket with his first ball. In 1988, he played eight matches for English county team Northants and suffered a severe ankle injury. In his recent autobiography, Lillee claimed that he played again as a preparation for a possible comeback to the Australian team that was suggested by the then captain Allan Border.